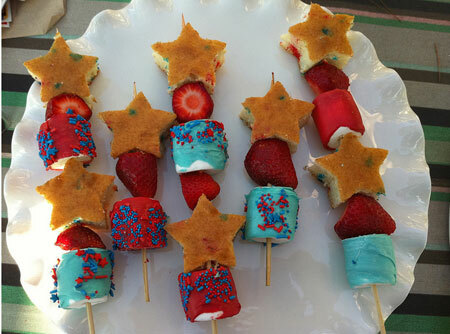 So I’m going to pretend my mouth is chewing something other than dried potato wafers as I tell you what would be on the grill at Willis Wonderland today were I home instead of packed in next to a snoring pork of a passenger on American somewhere over Nebraska. 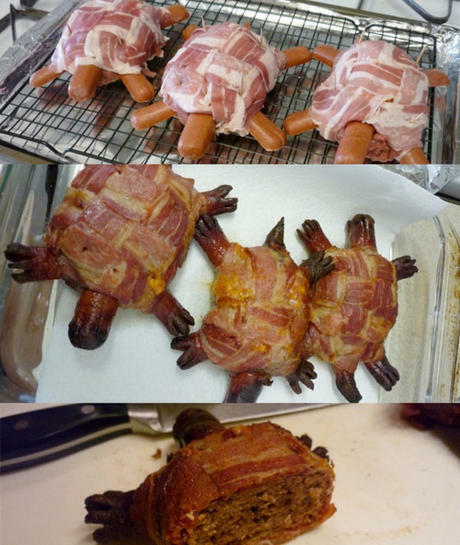 First there’s my favorite recipe of all, Bacon Wrapped Hamburger Hot Dog Turtles. Thank you, k2dtw, for submitting this beauty to The Allee Willis Museum Of Kitsch! Just jam three weenies through a hamburger, whack the appropriate weenie limbs for feet, shave the tail, wrap the torso with bacon and throw the reptile on the grill for perfect BBQ sealife. Although not as pretty of a design as the carnivore turtle, the Original Bacon Explosion packs more pound-for-pound bacon punch. 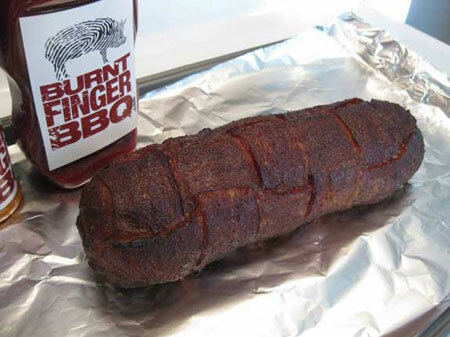 There’s a documented-better-than-a-crime-scene recipe for this charred-looks-like-something-else too here. 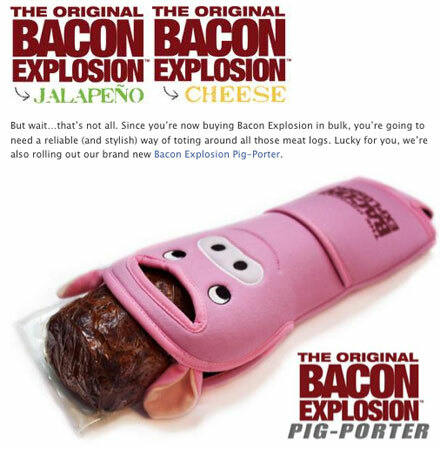 Even better, the Original Bacon Explosion comes with its own Bacon Explosion Pig-Porter!! 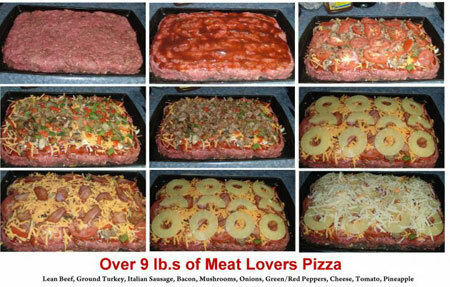 For a BBQ treat slightly more obscure, how about an Ultimate Meat Lover’s BBQ Pizza? 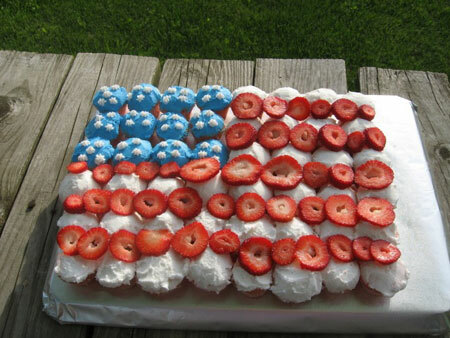 And for dessert, how bout a flag cake? 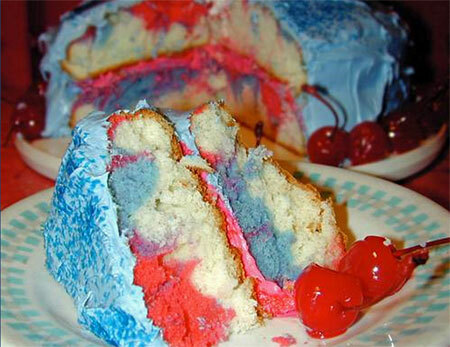 I’d go with donut holes for the white part. 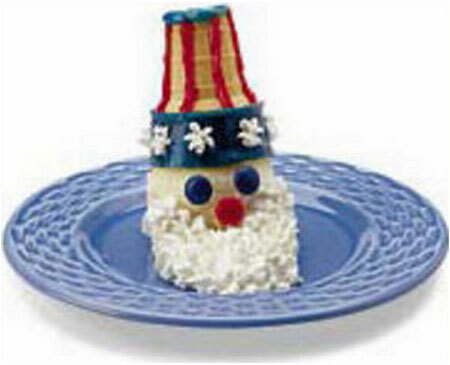 Actually, I’d rather serve an ice cream cone Uncle Sam. 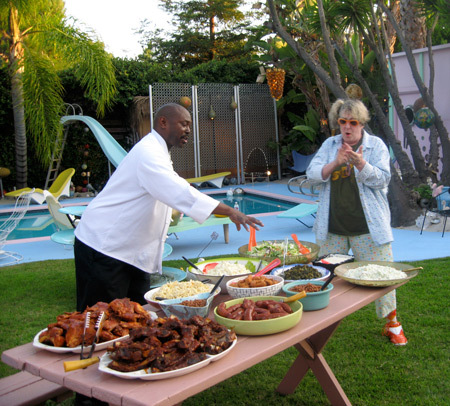 For optimum eating pleasure, serve all of the above on appropriate BBQ dinnerware. Don’t even ask me how many pieces of this pattern I have. 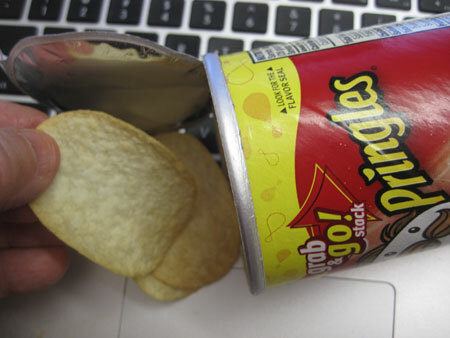 I shall be chewing along pretending I’m not on a plane sitting next to a man whose hairy legs are protruding from his khaki shorts making it impossible for me to enjoy my (BBQ sauce-less) Pringles. 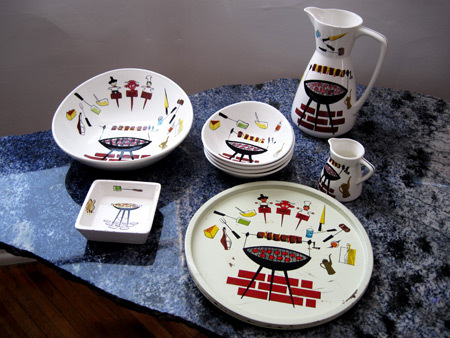 Oooh, please, please, PLEASE tell me the name of that FAB bbq dinner set! I MUST have it! My life will never be complete now without it! How positively dreary to eat from anything else! Unfortunately there’s absolutely nothing marked on the bottom of any of the over 50 pieces of that set that I have. Just a couple of them have little silver and red stickers that say ‘made in Japan’ but that’s it. I’ve found several pieces of it on eBay though so you might do a search for barbecue dish, BBQ platter and the like and eventually you’ll hit some. The pattern also was done on metal serving trays. I have several different barbecue patterns but have always cherished this one the most. 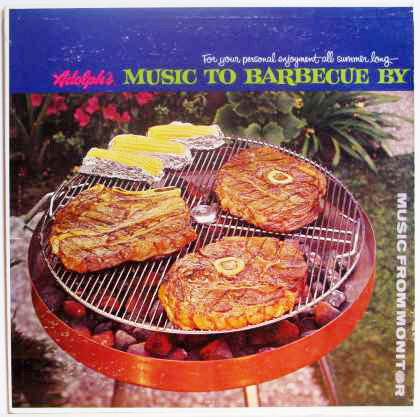 I have a similar BBQ set as this one. I actually have three retro ones, but this is one of them. You said that you had 50 something pieces. I was wondering if you might be willing to share a photo of your entire set. I am collecting and amazed at how many pieces there are to all of my sets.